The new law indefinitely freezes the transfer of these Greek minority properties which is normally the right of the rightful owner. The Greek government and main opposition New Democracy agree that Tirana’s proper treatment of the Greek minority is a precondition for the progress of Albania’s EU membership application. 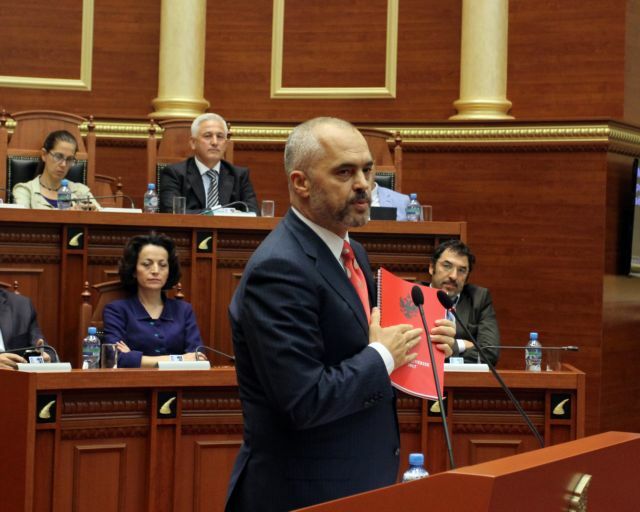 An Albanian government cabinet decision was published on 29 March in the Government Gazette and it declared that there will be a temporary suspension of the right to sell or transfer agricultural land that previously belonged to agricultural cooperatives, particularly in areas where tourism growth is a target in accordance with tourism investment plans. The Albanian government’s joint ministerial decision described lands that are shown on an attached map and belong to members of the Greek minority. That includes lands in Himara, Drymades, and Sarande. The new law indefinitely freezes the transfer of these properties which is normally the right of the rightful owner. One year ago another joint ministerial decision pertained to “recognition of title and assumption of ownership of real estate” and involved ownership of lands that previously belonged to agricultural cooperatives in Himara which is populated mainly by members of the recognised Greek minority. The measure involves properties which are in “zones in which the growth of tourism is a priority”. Meanwhile, the registering and initial transfer of properties in these areas continues in accordance with Joint Ministerial Decision 708, which hands over to the state properties owned for centuries by the locals (Greeks) before the Albanian state even existed. After the registration and transfer process is complete the newly expropriated land of the Greek will be handed over to the tourism ministry to be exploited for tourist projects.